The New Mexico State Police say a prisoner who escaped early Wednesday from a transport vehicle in Las Cruces was apprehended later that morning in El Paso, Texas. Around midnight Wednesday, guards from Security Transport Services, a prisoner transport company, alerted the Las Cruces Police Department to a prisoner escape near the Lowe’s and CVS at Main and Elks in Las Cruces. Ralph Miera, 40, was being transported from Riverside, Calif., to Pueblo County, Colo., to face charges of auto theft, burglary, discharge of a firearm, and contempt of court. At some point during the transport, which is still under investigation, Miera was able to obtain a gun and handcuff key from inside the transport vehicle. During a break on the side of the road near Elephant Butte, Miera brandished the firearm at the guards. Miera placed one of the guards in the transport cage and ordered the other to drive at gunpoint. The initial investigation indicated Miera had the guard drive him to Las Cruces, where he exited the van on foot at Main Street between Elks and the Century 21 Motel. Miera proceeded to steal a red truck from the area. 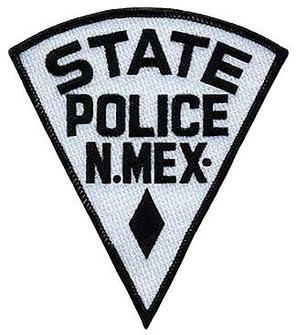 A manhunt was launched involving the NMSP, Las Cruces Police Department, El Paso Police Department, United States Marshals Service, United States Border Patrol, New Mexico National Guard, and Texas Rangers. Around 10:10 a.m., officers with the El Paso Police Department located Miera driving the stolen truck and conducted a traffic stop. He was taken into custody without incident. Miera was arrested on an outstanding vehicle theft warrant out of Pueblo. The NMSP Investigations Bureau is investigating the escape, and Miera will face additional charges, including kidnapping, aggravated assault with a deadly weapon, possession of a firearm by a felon, interference with communications, and larceny of a firearm.